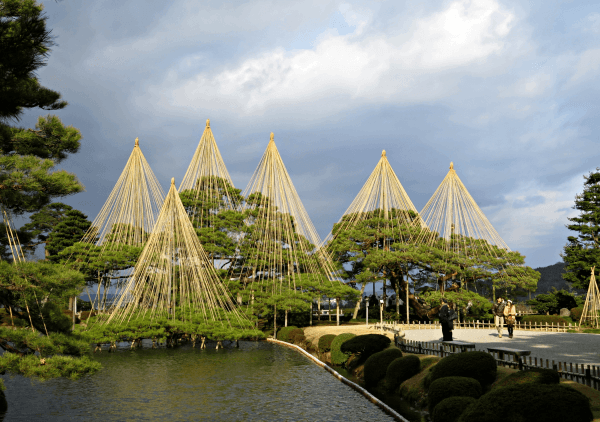 In the heart of the beautiful Hokuriku region, on the coast of the Japan Sea, there is Kanazawa. 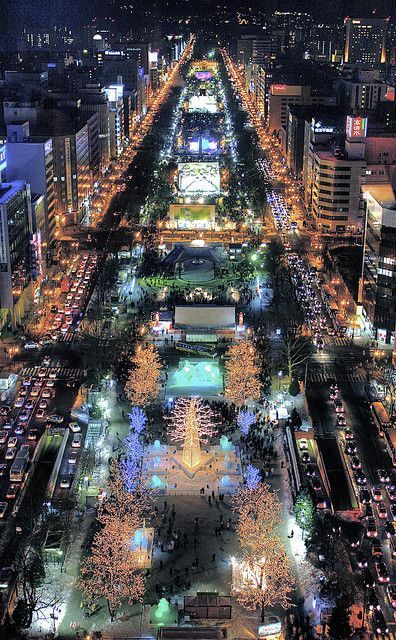 It is one of Japan’s loveliest and best-preserved historical cities. Often compared to Kyoto (though significantly smaller), Kanazawa is renowned for its impeccable geisha and samurai districts. 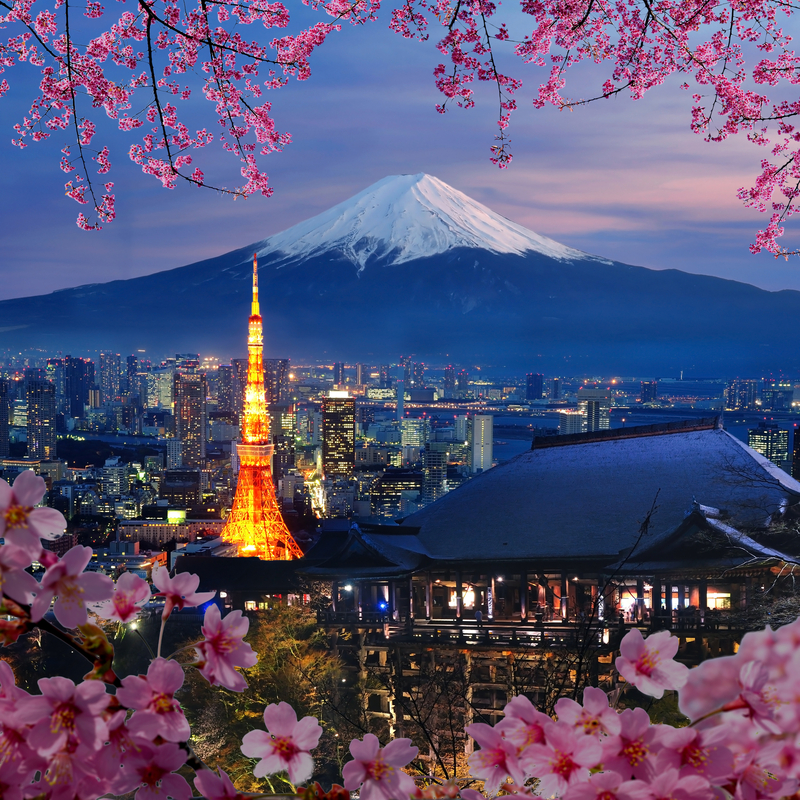 It is known for the iconic Kenrokuen stroll garden and its wonderful cuisine – including some of Japan’s highest-quality seafood. During the Edo Period (1603-1868), Kanazawa was one of Japan’s most powerful cities, as home to the Maeda Clan. Thankfully, the city was spared from the air raids during World War II which left much of the old city intact. Kanazawa’s most famous draw (for both foreign and domestic travelers) is Kenrokuen Garden, one of Japan’s Three Great Gardens. Along with Korakuen in Okayama and Kairakuen in Mito. The garden is beautiful year-round, and especially magical — though crowded — in spring (for cherry blossoms) and fall (for autumn leaves). Adjacent to Kenrokuen is Kanazawa Castle. The exterior and the grounds, filled with large cherry trees are impressive despite the reconstruction. 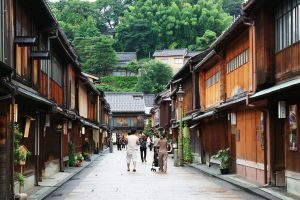 The beautifully-preserved Higashi Chaya District (higashi chaya-gai) is the second among Kanazawa’s most well-known areas. 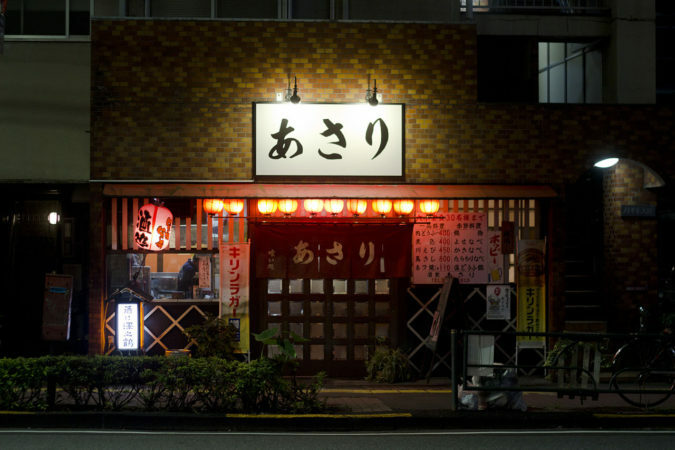 It is also the city’s most famous traditional teahouse and geisha district. A chaya is a teahouse. This stunningly well-preserved collection of streets is a valuable cultural and historical asset. 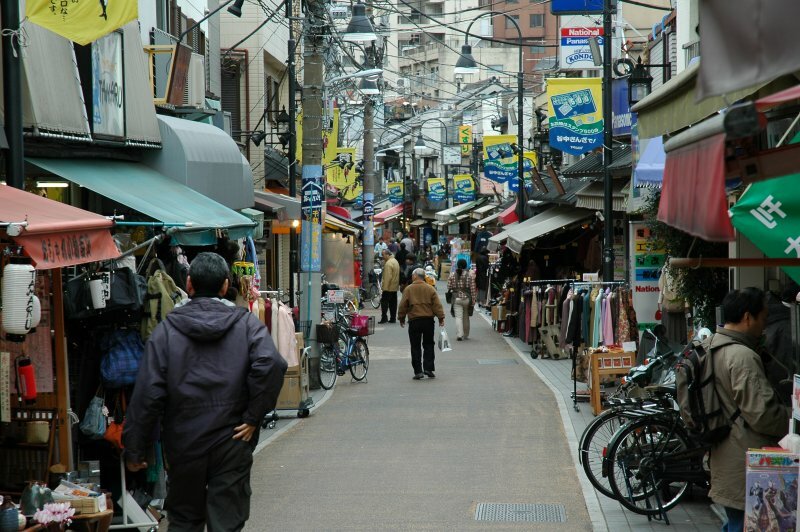 While not as boisterous as it must have been in its heyday, a stroll in this photogenic part of town conjures Japan’s past a few places can. It is possible to “do” Kanazawa in one long and ambitious day. But it is ideal to spend two or more days taking it all in. The city is compact and easily explored by foot and taxi, and there is also a convenient sightseeing loop bus. 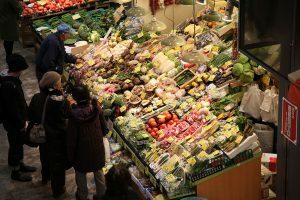 Blessed with top-quality seafood from the Japan Sea, along with wonderful produce and rice, Kanazawa has long attracted culinary travelers from throughout Japan – and now around the world. 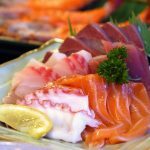 Most of the best sushi shops are small and require an advance reservation, but you will find delicious seafood at other establishments ranging from izakayas to kaiseki and kappo counters. Additionally, a wonderful complement to a stay in Kanazawa is a stay at a ryokan with onsen just outside of Kanazawa. Contact us and we will tailor a perfect Japan itinirary for you.